Myth #1: It’s more expensive than traditional braces. Depending on the location and severity of your orthodontic concerns, Invisalign doesn’t always cost you more. It is important to consider the value of the added comfort and aesthetic appeal that Invisalign’s plastic design brings. Invisalign is undoubtedly an affordable way to correct misaligned teeth and early correction prevents many patients from costly dental treatments down the road, such as repeated fillings, crowns or dental implants. Myth #2: It is not as effective as metal braces. Invisalign has been proven effective for a wide range of orthodontic concerns, including crooked, crowded and spaced teeth. In fact, Invisalign even works for those who have overbites, underbites or crossbites. Only a qualified dentist can accurately determine if Invisalign is right for you – but rest assured that Invisalign is highly effective. Myth #3: It only works for teenagers or minor teeth corrections. Due to its high discretion and unrivaled comfort, Invisalign is one of the most popular treatment options for adults as well as teens. In addition, Invisalign has greatly improved in the last decade to address both minor and moderate orthodontic concerns. Myth #4: It requires too much maintenance. Wearing Invisalign means less visits to the dental office because there is no need for tightening and adjustments. Patients simply have to change out the provided set of aligners every couple of weeks. In addition, you can remove the aligners for brushing and eating, which eliminates dietary modifications and hygiene challenges. It is an easy maintenance option in orthodontics! Myth #5: It leads to cavities and discolored teeth. If you follow the recommendation to remove your aligners when eating and brushing, your smile should be even more protected from dental problems compared to teeth in metal brackets and wires. 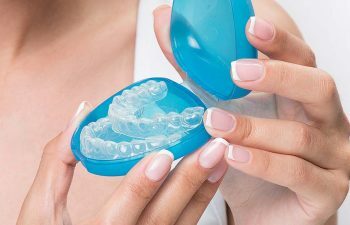 Patients can thoroughly brush the teeth and gums without wearing the aligners to ensure food debris and plaque-causing bacteria don’t get trapped under the plastic trays. Have more questions about Invisalign? We are happy to discuss this innovative treatment option in modern orthodontics. 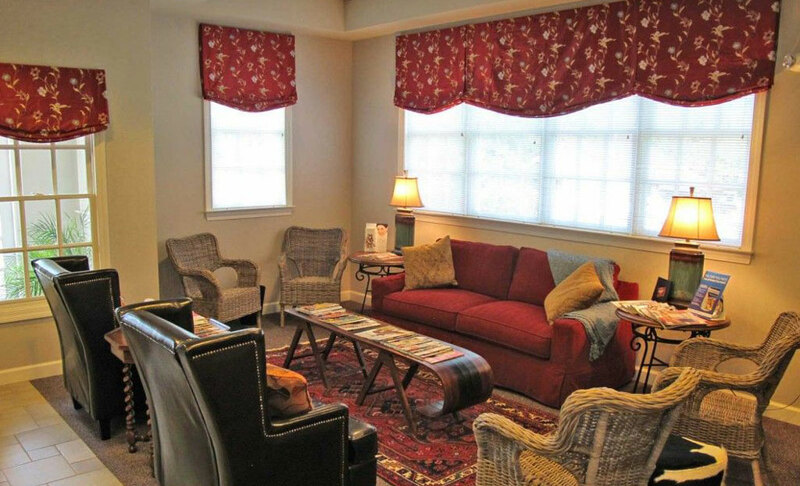 Our patients love Invisalign, and we think you will too!